Whether you believe in global warming or not, there has been some major change in weather patterns all over the United States, especially in the last couple of years. Ranging from major snowstorms in places where there hasn’t been one in a decade or more to relentless hailstorms in the southern states. Hailstorms are more common in The Great Plains and the Midwest states. The meeting point of Nebraska, Wyoming, and Colorado is called the Hail Alley. Cheyenne in Wyoming receives up to 10 hailstorms a year. In the last couple of years, Texas has been on the receiving end of non-stop hail storms. Insurance companies reported of $1.4 billion loss to property, in the April 2016 hailstorm that hit San Antonio area. Hail starts forming from water droplets that freeze as they rise and experience drop in temperature. The water droplets get caught in a tumbling pattern of the wind due to the considerable upward draft formed during thunderstorm clouds. A consistent upward draft is a prerequisite for hail formation. 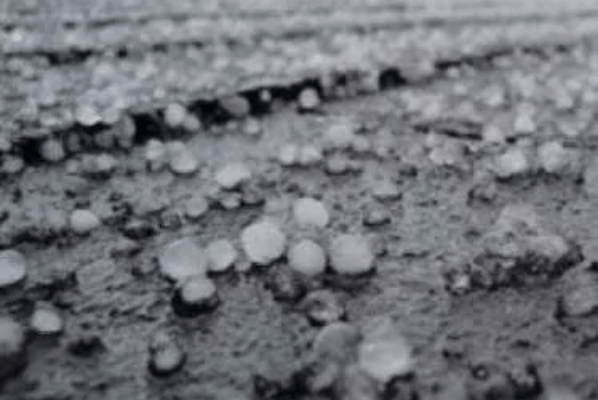 Hailstones aren’t blocks of ice like sleet, but a cluster that is formed by layers. A cross-section of a large hailstone shows an onion like formation. The layers could be of transparent ice or may be formed with alternate layers of transparent and translucent ice. They could be in the shape of balls or could be in any other clumpy shape. According to the US National Weather Service, a severe thunderstorm warning is issued when the size of the hail is expected to be 1 inch or more in diameter. These have the ability to severely damage life and property. What kind of damage can a hailstorm cause? The most common damages that a hailstorm causes are damaged roofs, holes in the windshields of cars and broken sunroofs, erosion of sealant on the roof and so on. It could also ruin your landscaping and leave your precious yard a mess. During the hailstorm trees in your surroundings could get uprooted. This can cause catastrophic damage if the tree lands on your property or vehicle. An uprooted tree landing on your house could mean serious damage to the roof and also your belongings. In such an event you and your family members should evacuate the house immediately. 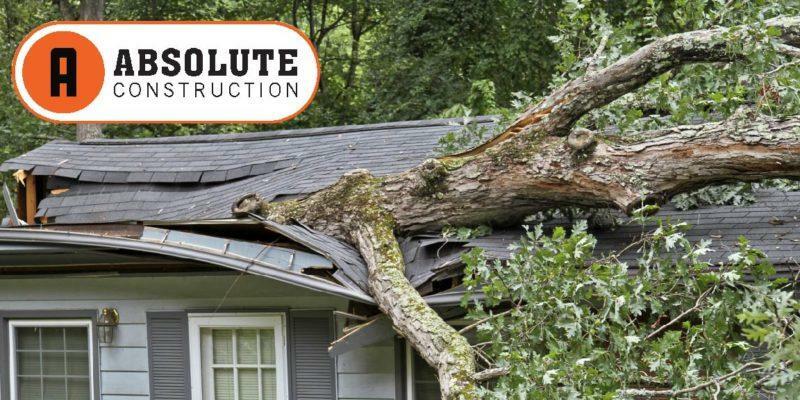 Once the storm has passed, and the debris has been removed contact a trusted roof repair company to assess the damage. It’s not wise to postpone an assessment of the roof because you have no idea what kind of damage has been done. A small leak or exposed area on the roof should be fixed quickly before it starts damaging the structure of your roof. A roofing contract can also help you with a temporary fix so that your house is not exposed to the elements, and you can clean up the insides of your home before taking up major repair work. Common residential roof damages you should not ignore. Missing shingles: Once a storm has passed, you might notice parts of your roof look darker than the surrounding area. If you are able to take a closer look, you’ll notice that shingles in these dark areas are missing. The dark color is the black asphalt layer that protects your roof from becoming weak and leaking, that’s now left exposed. The top lighter colored layer is made of mineral granules that shelter the lower asphalt layer from the harsh rays of the sun and protect it from rainwater. When hailstones or fallen tree branches damages them and they fall off, it exposes the black asphalt layer. 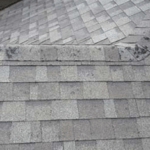 In most cases of even a single missing shingle could lead to leakage in the roof down the line. Water could easily make its ways between the lower shingles and expose the lower layer during rains. Missing shingles, however few should be replaced immediately. Get in touch with a professional roofer who deals with residential repair. A trustworthy roofing company should be able to replace the shingles for a reasonable cost. Broken Sunroof: Skylight or sunroofs increase the natural light that enters your house. Apart from keeping your home warm and cozy, it also enhances the value of your house. But if your house is in an area that’s prone to hailstorms, the sunroof can easily get damaged. Being proactive and covering them up when you hear of an imminent storm warning helps, but it’s not always practical. In case your sunroof is damaged, you should think of replacing it with an acrylic or polycarbonate material that’s much more resilient than glass. You could increase the durability of a glass sunroof with a protective layer or a double pane glass. Talk to a professional roofer to know what options would suit you best. What to do if you’ve been hit by hail? It’s always a good idea to ask a trusted roofing company to assess the damage if your home has just survived a storm. We have been restoring roofs and keeping families in Texas dry and safe for over a decade. Contact us to schedule your FREE roof inspection today. Mrs. Manning is worried that her roof might not survive the upcoming rains. She is more worried about the hail storms than anything else. Her house is about 30 years old and repairs have been minimal. Last year the roof almost gave in due to a fierce hailstorm. To avoid sleepless nights, she is considering a roof replacement before the rains set in. According to the National Oceanic and Atmospheric Administration (NOAA), hail causes about $1 billion in damages every year. The typical months for hailstorms are May through September. In the US the top five states that are affected by hail storms every year are Texas, Kansas, Nebraska, South Dakota and Oklahoma. A report by Verisk Insurance Solutions in August 2014 showed that in 14 years (2000-2013) insurance companies have paid out $54 billion for damages caused by hailstorms. What to do if you’ve been hit by hail ? Regular inspection of roofs is recommended if you want to avoid large and expensive roof repairs. Damages due to hailstorms can be overwhelming. If you think hailstorms can only destroy your beautiful garden, you’re mistaken. Along with uprooted trees and branches strewn all over the place, your roof could also be extensively damaged. Roof damage can be the cause of leaky ceilings, which can damage the interiors of your house and your precious belongings. So how do you determine what damage has been done to your roof after one such hailstorm? The first step is to check your gutters after a hailstorm. Large dents or cracks in them is a sign that your gutter needs a thorough inspection.Large hailstorms can break the shingles (individual overlapping elements on your roof) on your roof. Damaged granules most often than not could get dislodged from the shingles and collect in your gutter downspouts. Older roofs are more susceptible to damage. Over time the base of the roof is exposed to the elements, which causes wear and tear of the roof. Schedule a roof inspection after a hailstorm, to assess if there’s any damage. Most roofing companies offer free roof inspection. Even if you are tempted to do the inspection yourself you must avoid it as it can be dangerous. Call your insurance company as soon as you realize that a hailstorm has damaged your roof. If you neglect the initial damage, it could turn out very expensive in the long run. Make sure that it is repaired and ready to weather further storms. Many insurance companies refuse to pay if they feel that the documentation isn’t accurate. It’s important that you take pictures of the extent of damages to your roof. It will help add weight to your case when you file a claim. After you’ve filed your claim, you’ll need a qualified contractor with good credentials to fix the damage. You should ask for quotes from multiple contractors who offer this service in your area. The key is to make sure that the roofing contractor is qualified and insured. The roofing contractor should also be able to determine the extent of damage and if the amount that you could claim. When the insurance company visits your home for inspection be sure to have a qualified contractor with all your evidence (the pictures that you clicked after the storm). 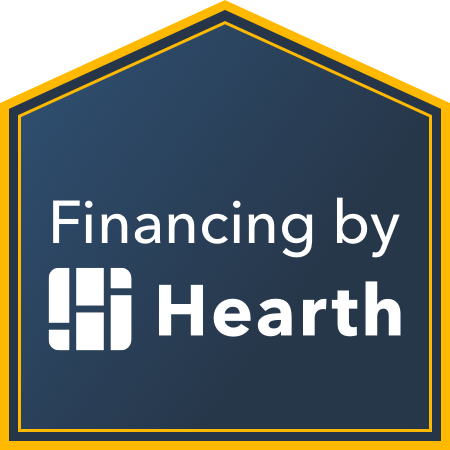 This will help you to claim the right amount and also make sure the insurance company doesn’t lowball you. 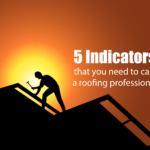 If after inspection, the inspector decides that your roof doesn’t qualify for insurance then don’t feel disheartened. Your local roofer will be able to guide through various alternatives to get your roof repaired. How to choose the best roofing company? Determining which roofing company would be best for your roof repair job can be a bit of a challenge. You want to make sure that you get the best services at a reasonable cost. Here are a few pointers that will help you decide on the roofing company that’s best for you. Find out how long the roofing company has been in service. 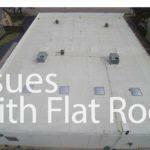 Look for a well-established roofing company that has been in service for a long time. If they didn’t provide great service, they wouldn’t be in business for long. Look for the companies reviews on social media platforms, Google MyBusiness or Yelp. You can decide after reading the experiences of other people who have used the services of the company. A trustworthy contractor will have all the required licenses and accreditations. A genuine contractor will not rush you through inspections and will be kind and courteous. A roofing contractor should also be able to explain which repairs are absolutely mandatory and why. 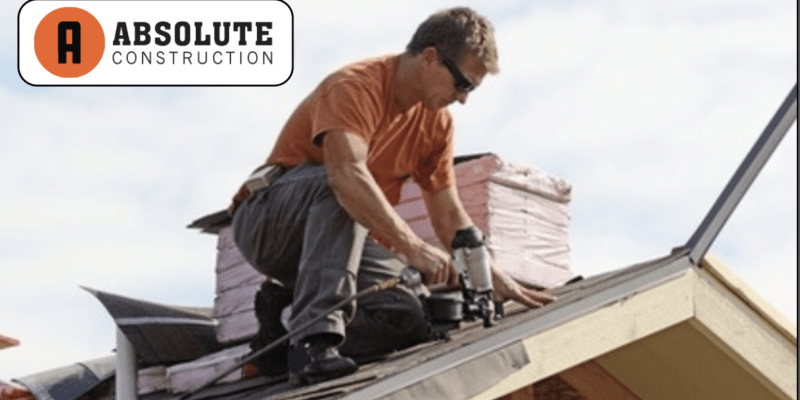 Contact Absolute Construction for a FREE inspection today!